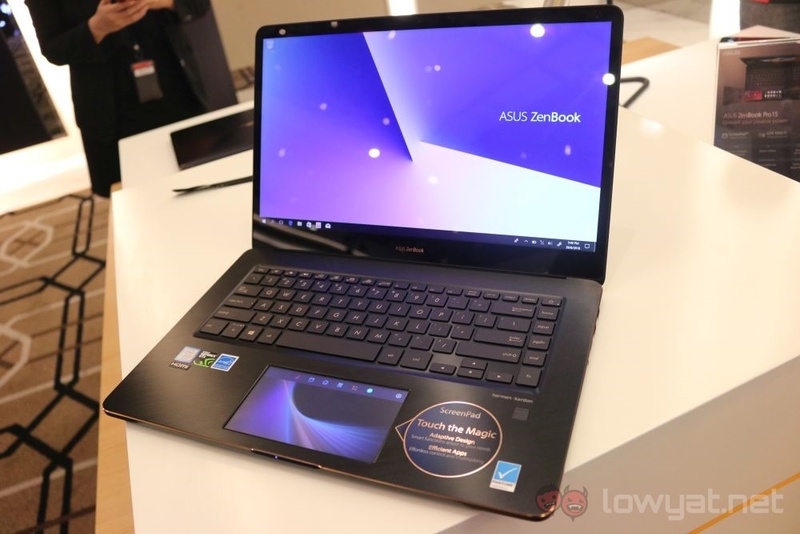 We first saw the ASUS ZenBook Pro 15 and its rather unique ScreenPad feature back in Computex 2018. 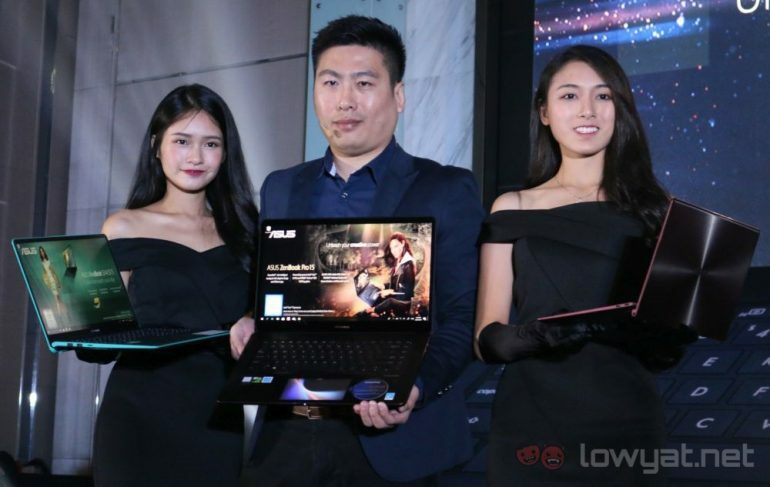 Earlier today, the new laptop which features a 15.6-inch display alongside another 5.5-inch Full HD display that also acts as its touch pad has made its debut in Malaysia. Called ScreenPad, the screen / touch pad hybrid supports up to four finger gestures and can be used as a secondary screen to run a selection of native apps like calculators and calendar. ASUS has said that there are over 10 apps supported at the moment such as YouTube and Spotify with more apps planned to be made compatible in the near future. As the ScreenPad was made to work seamlessly with Windows 10, expect many of them to be apps that are available on the Microsoft Store. 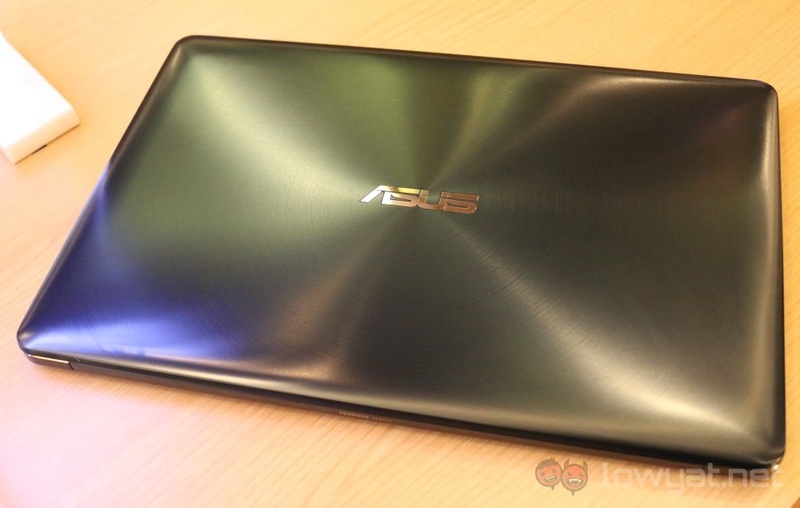 The company has also announced three different configurations for the ZenBook Pro 15 in Malaysia. The first comes with with a Full HD display, Intel Core i7-7850H processor, an NVIDIA GeForce GTX 1050 GPU, 8GB of RAM and a 512 GB SSD. One step above this, the next config comes with a 4K display, an Nvidia GeForce GTX 1050 Ti GPU, 16GB of RAM and a 1TB SSD. 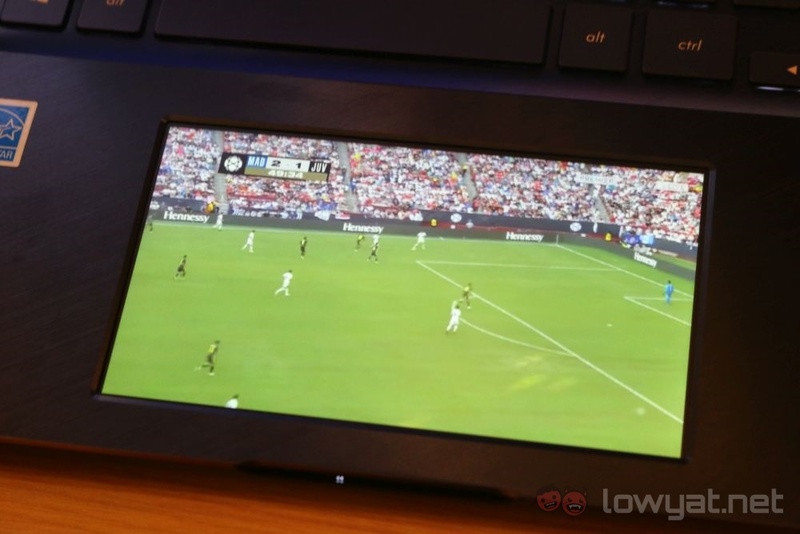 On another hand, the top-of-the-line model pushes further with a Intel Core i9-8950HK processor. As for prices, for each respective model, they are RM 5,999, RM 8,899 and RM 10,999. 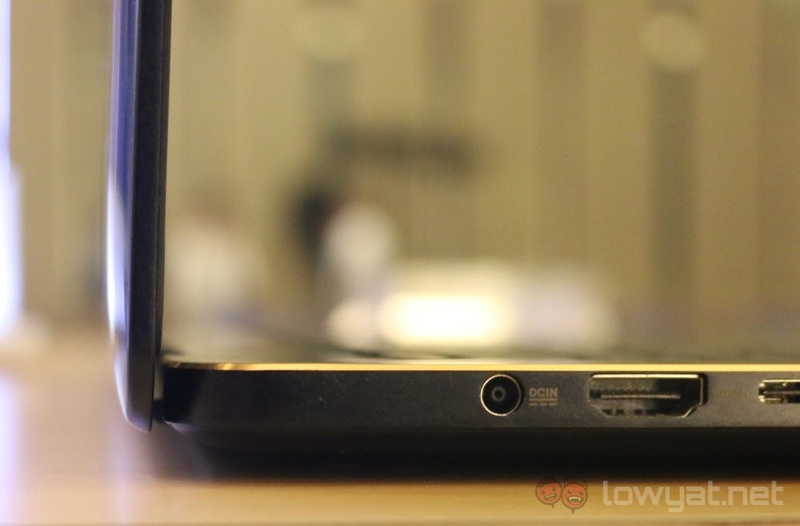 The first two models are readily available in Malaysia but the Core i9 model will apparently take few more weeks before it enters into our market. Meanwhile, if you’re wondering why the ZenBook Pro 14 isn’t mentioned at all, ASUS pointed out that Malaysians apparently prefer 15” and 13” laptops according to its own survey. Hence, that is why the company is reluctant to bring the ZenBook Pro 14 into our market. Meanwhile, do check out our unboxing of ZenBook Pro 15 alongside a quick run-through of ScreenPad feature on our official YouTube channel right here.